It’s not often I write blog posts, but today I’m feeling rather sad and despondent. I’ve written pet food reviews for a number of years now, and over this time I’ve had no end of contact with retailers and consumers alike. I can’t tell you how many sad stories I’ve heard about sick pets or pets that have died at a young age. A friend’s dog just died at the age of 7 through health issues that could’ve likely been avoided on a nutritious diet. My kitten was only 7 months old. His name was Birl and he was so playful and an awesome cat. We were feeding him [Supermarket Brand] which he liked and was doing good on. Unfortunately we ran out of it and didn’t have much money, so I bought some cheap [Cheap Supermarket Brand] kitten food for him. He died on March 12 2015. I loved him so much and I had no idea something like cat food which is SUPPOSED to be good for keeping them alive, could kill my precious baby boy. I find this heartbreaking, and I never feel my reviews have much of an impact. Our pets can become sick or die for a number of reasons, but to me a nutritional, healthy diet has to be a major factor. 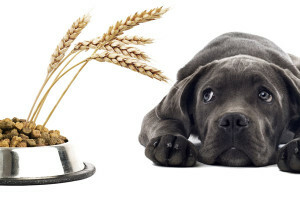 We all know very well how important our diets are, so why is it so hard to consider the diets of our beloved pets? Just the other day I wrote a review of a supermarket brand dog food based on cheap fillers like wheat and sorghum, with a severe lack of nutritional value. I gave the food a resounding 1 Star. I posted a link to the review on a Facebook group for the supermarket in question, hoping to raise some awareness. The responses I had were saddening. About 20 people commented, and I felt I didn’t reach a single one of them. I’m not confident my dog is getting the right nutrients, but I’m happy that he is eating. 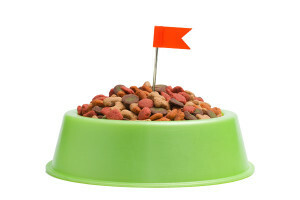 Dry food…yes, but have turned to Pedigree! This lady obviously didn’t read my review of Pedigree! I am using the dry and wet and they love it. He also gets “MY DOG” small tins…89cents compared to $1.29 at Coles etc!!!!!! This lady obviously didn’t read my review of My Dog! Another comment really got to me, but has now been deleted. It stated the review of the food was far better than all the others reviewed on the website. I found myself really despondent at that point as there’s currently 18 foods on my best rated list of 4 or 5 star, and a number of others rated a decent 3 stars (some very reasonably priced supermarket brands). I don’t know why it’s so difficult to communicate, and I understand some are restricted by a tight budget or live in a rural area where decent foods are hard to come by, but it doesn’t take much to have a little understanding. We’re talking about our pets here, and pets are loved aren’t they? If people love their pets then why is it so hard to take a minute to consider what we’re feeding them?